Happy Fantastic Friday! Can you believe Labor Day Weekend is here already? Are you ready to say goodbye to summer? It is time to get creative with back to school lunches so, I decided to share one of my favorite school lunches growing up. In school growing up I often took my lunch because our cafeteria lunches weren’t all that great! I had a few things that were on my favorite list. 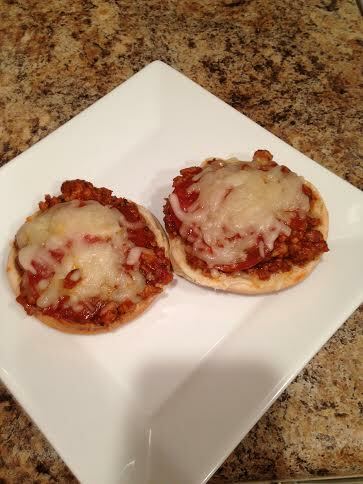 I loved when we had pizza burger day so, I wanted to create my own version of them. 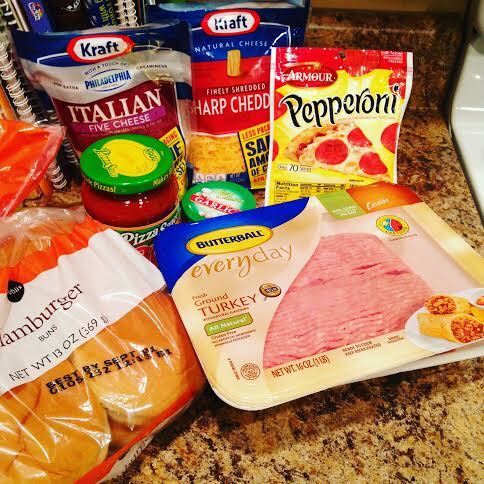 I think Friday is the perfect day for making fun food and these pizza burgers fit fun Friday totally. You can really add and take away ingredients with this recipe to add your own special twist. I hope these pizza burgers are a big hit in your house. Happy Cooking! Fry ground turkey and Italian Sausage until brown. Drain the grease from the meat. Add the pizza sauce to cooked turkey and sausage. Open each bun spoon some the meat and sauce mixture on each piece of bread. Top each pizza burger off with pepperoni and cheese. Bake at 350 until cheese is melted. Enjoy! Tip: You can also use breakfast sausage to give it a different taste. Get creativity and add mushrooms, green peppers, onions and more! I love this creative twist on Pizza!! I will be making these soon! Thank you so much for sharing! This is such an genius idea! This Pizza Burger sounds really good! Perfect for my little guy! Never heard of this creative twist but now I have to try it. Thanks! Pizza and burger in one…YES. Comfort food couldn’t get any better! Yes, I love comfort food!!! Whoa! I gotta try this!!! !